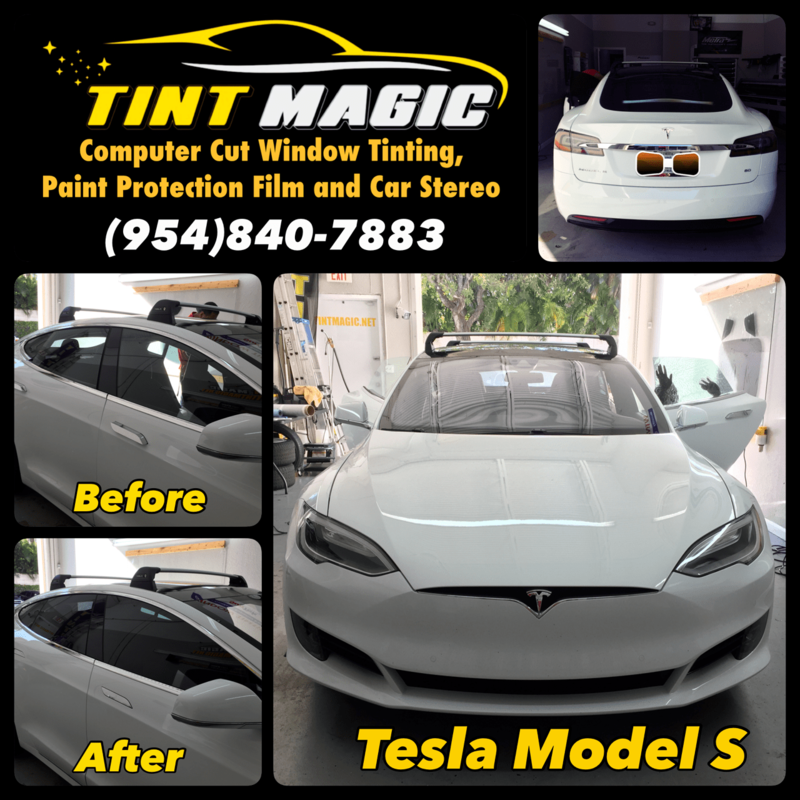 Tesla Model S 2017 at Tint Magic Window Tinting Coral Springs, Parkland, Tamarac, Sunrise, Weston, Lauderhill, Margate, Coconut Creek, Deerfield Beach, Pompano Beach. Call us for the best service and quality! (954)840-7883. 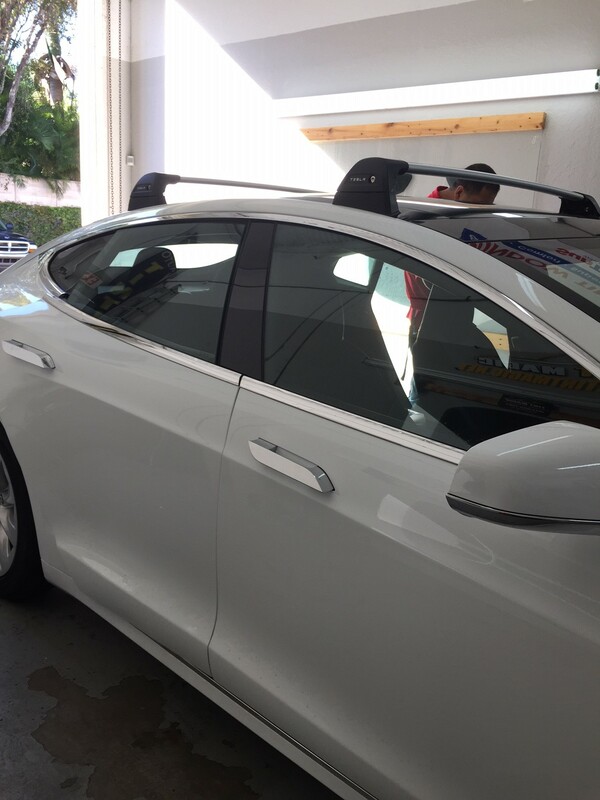 The Tesla Model S 2017 has benefited from constant revisions throughout its life cycle, but its looks have stayed almost exactly the same since it was introduced in 2012. 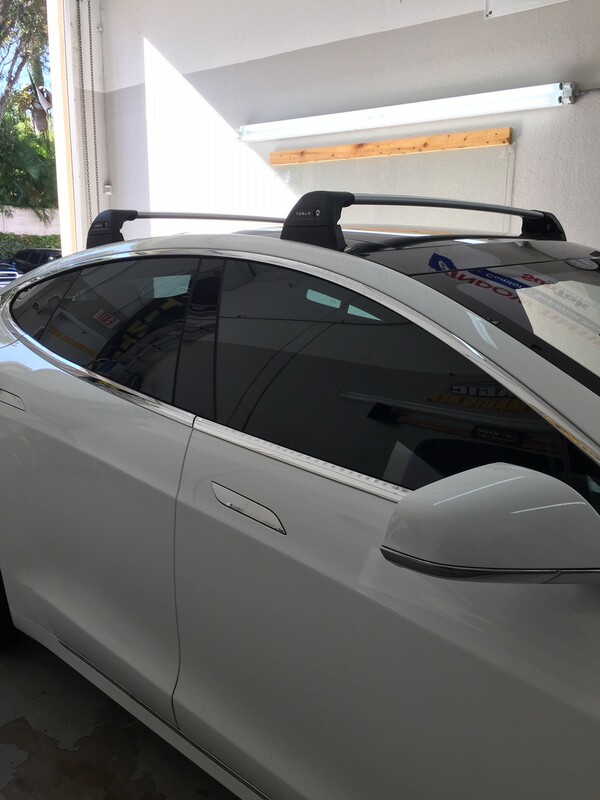 That finally changes with an update for the 2017 Model S that brings it in line with the recently revealed Model 3 Sedan and the Model X Crossover. Gone is the faux front grille, which is replaced by a new front fascia with slightly reshaped headlights and a sleeker, more streamlined look.